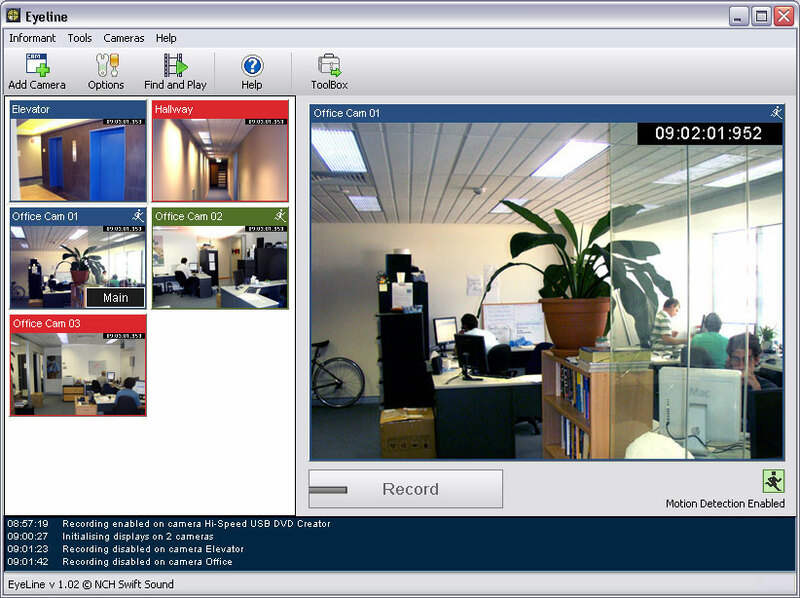 EyeLine is professional video recording software used to capture and store video from single or multiple cameras. It was designed for business uses including video monitoring of offices and buildings and logging of in-store cameras but it has a broad range of possible applications. 59.99 for one cam. Go away! 4 cams totaly free! No adware.